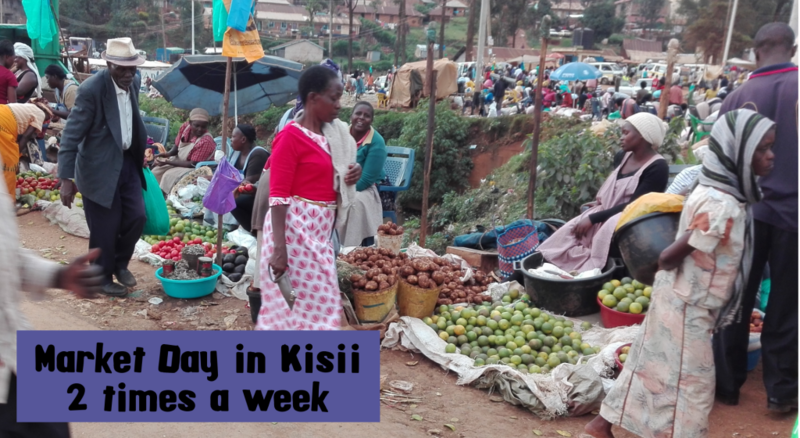 Poverty alleviation is one of my main passions and it’s also one of the main things I’m working on here in Kisii Kenya. As the main activity in fighting poverty I’m training and mentoring small entrepreneurs with skills to improve their businesses, increase their profits and ultimately escape poverty. 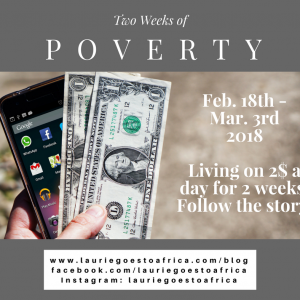 The entrepreneurs I focus on typically make less than 2$ a day, which is typically seen as extreme poverty. According to UNICEF, 42% of the the 44 million Kenyans live below the poverty line. Many people in my community, including right in my neighborhood, make less than 2$ a day and struggle to educate and feed their kids. Jobs are scarce in much of Kenya and many Kenyans resort to entrepreneurship, such as selling used items or vegetables on the side of the road. Not everyone has the skills or the knowledge on how to run a successful business and many of these people aren’t making enough to meet their personal and family needs and sometimes not even breaking even with their business expenses. Many of these people don’t calculate the money they’re putting into the business and the money they’re making. 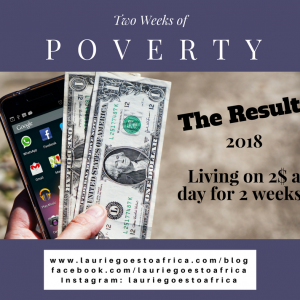 I’m helping some of these people to start calculating, start knowing where they’re at, setting goals (personally and professionally) and finding out what kind of improvements we can make to increase the profit. 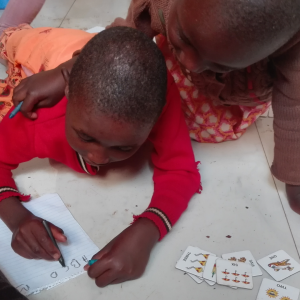 I also teach them about confidence, positive thinking, recognizing patterns and other spiritual and psychological tools to help them get out of poverty. I love meeting with my students one on one so we can actually talk about their personal experiences and I can find out their situation, their strengths and their needs. They’re teaching me just as much as I’m teaching them. Many development workers or agencies come in with their ideas and Western beliefs with how the world works. I spend a LOT of time listening to the entrepreneurs story: how they got where they are, what their typical days look like, what the customers and other sellers behaviors are like. Once I understand more what their situation is, then I can offer appropriate advice, solutions and steps. One of my students, Robert, has been loving and truly been inspired by Les Brown’s motivational speeches. 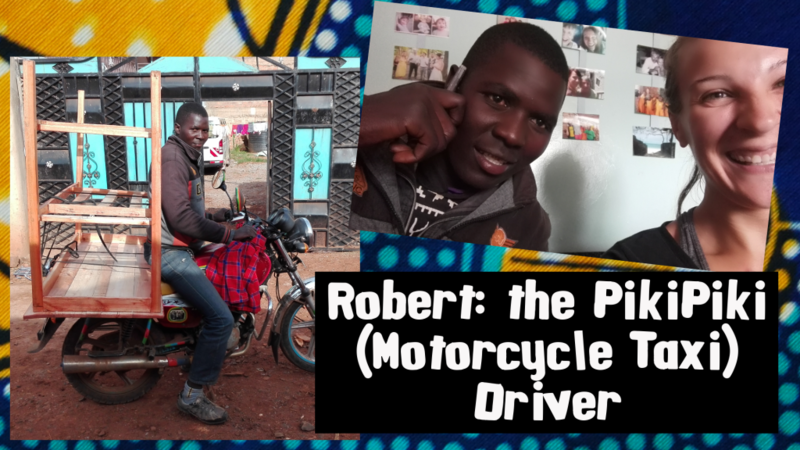 Robert supports his parents and 3 younger siblings by giving rides around the area on his motorcycle. I noticed that Robert often listened to the radio on his phone. I bought a memory card for his phone and gave him some of Les Brown’s incredibly inspiring speeches. Les Brown is one of my favorite encouragers. He’s a heck of a man and his words INSPIRE!!! Here is one of my favorite Les Brown speeches. I highly suggest you take listen!! 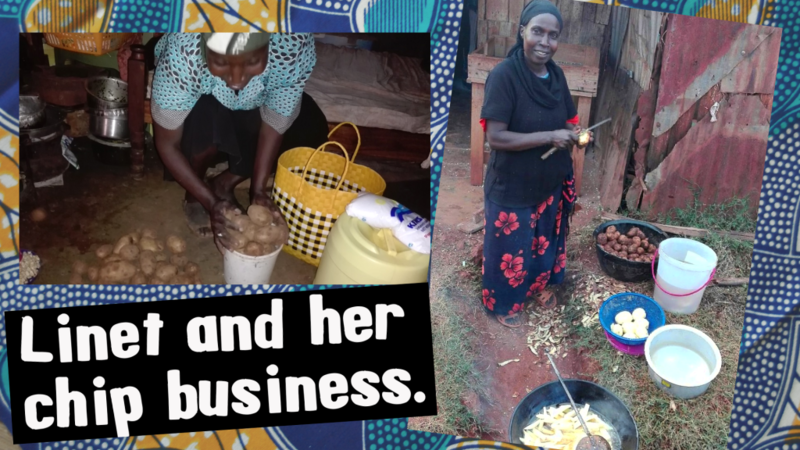 Through my first student, Linet, I’ve been learning so much about the culture surrounding subsistence business in Kenya and the unfortunate social structure that keeps these people in poverty. There are many cultural issues that keep people in poverty. One example is what I call the “level playing field game”. Your neighbors, family and friends only want you to succeed if they can cash in on it too. Neighbors can cause all sorts of destruction to your business, with vandalism, gossip, stealing customers and even witch craft. Another example is family obligation and respect. A custom that would fall under this category would be that a business person is not allowed to work in the time after a family member or neighbor dies and before the funeral. Linet had a hard time with this, as her nephew, who was also a neighbor died, yet his funeral was not held until 3 weeks later. So Linet, who was already struggling to meet the basic needs of herself and kids, would be seen as insensitive and selfish if she continued to work. In a sensitive manner, I try to show my students that some of their customs could be contributing to their poverty. I also recognize that they often care more about the tradition, and fitting into society, than making money. In both the motorcycle and the chips (french fries if you’re American) are kind of stuck in a “fixed market system” where the prices are well known around town, and typically everyone stays within these fixed markets. I’m trying to get Linet to get over this limiting belief. Her chips truly are THE BEST!!!!! Restaurants sell their chips for more, so she should be able to too. Unfortunately, many of her (current) customers are lower income, wanting to just pay 20 or 30 cents at a time. We’re figuring this out together a little bit, and they’re teaching me just as much as I’m teaching them. I am determined to teach my students the best that I can teach them. That involves making sure that I am as knowledgeable as possible in development, poverty alleviation and the local markets. Last year I took online classes about How to Change the World and Social Norms, Social Change both through Coursera. Early this year I also completed an online course on Subsistence Marketplaces through Coursera, specifically about markets around the poverty line in the developing world. 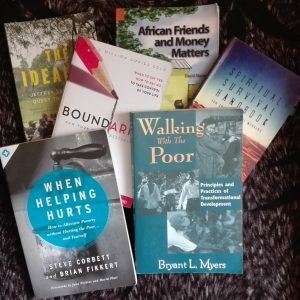 I’ve been reading incredible books on poverty alleviation: specifically Walking with the Poor by Bryant Myers and When Helping Hurts by Corbett and Fikkert.. Both books have been extremely helpful in learning about best practices for poverty alleviation and other topics in working with the poor. about what other entrepreneurship trainers are teaching. We have seen a lot of progress with my students business practices. It’s not a fast road, but it’s a road that we’re walking down together. I can’t wait to share some of the success stories with you! If you’re moved to donate this cause, your donations would be so appreciated by the people I’m working with and me! See this page about how you can donate.